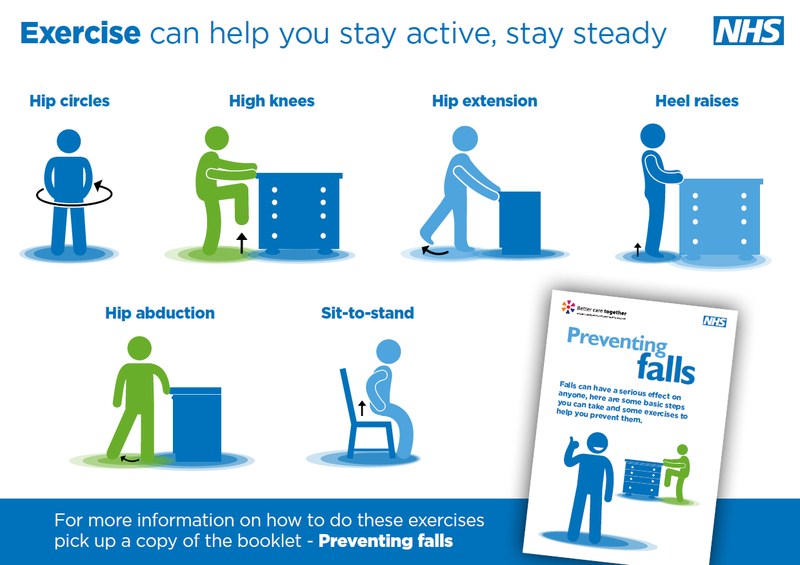 Alongside health and care partners, we are implementing a free postural stability exercise programme called Steady Steps with support from each of the localities across Leicestershire and Rutland. 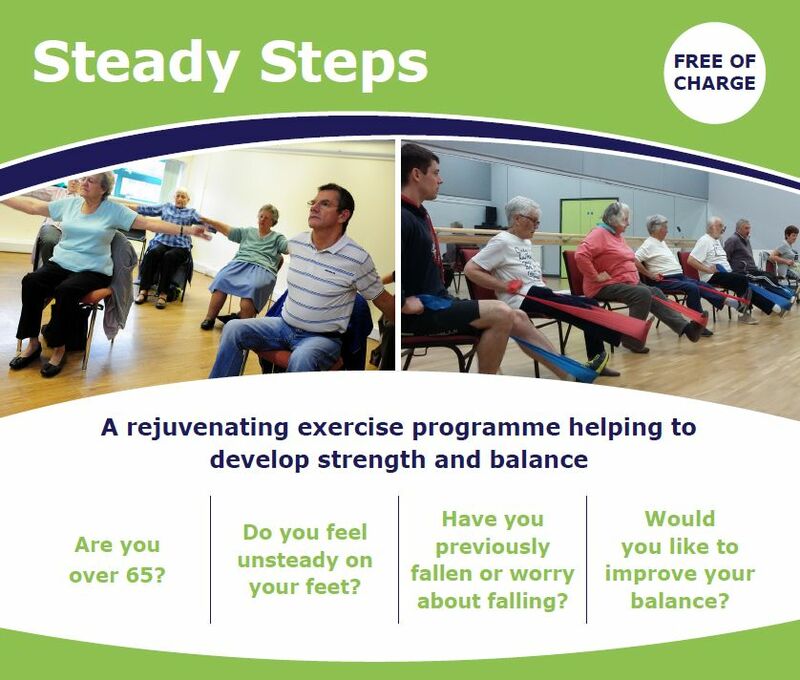 Steady Steps is a 24-week programme tailored to those who have previously fallen or worry about falling and is designed to help improve balance and stability. Delivered by Level 4 specialised Postural Stability Instructors, the classes are tailored to each individual's abilities and will progress in difficulty throughout the programme. People are eligible for the Steady Steps programme if they are aged over 65, are at risk of falling (e.g. have a high fear or falling or poor balance) or have fallen less than three times in the past 12 months. For the advanced (+) Steady Steps sessions please contact your local co-ordinator for more information. Pre-booking is required for all Steady Steps courses and local inclusion criteria are applicable. Due to the nature of the programme there will be a final intake date for all programmes. Please contact the relevant coordinator for further information, found within each session listed. New Steady Steps Sessions in Leicester - sign-up now! Steady Steps is now being rolled out in Leicester City. The sessions have now been confirmed and start on 15th May 2019, however please note attendees can still sign-up to these sessions until the end of June. Do you feel unstable on your feet? Have you suffered from a fall? this programme could be for you. We offer a 24 week programme that helps build your strength and balance to help you live independently. Are you over 65? Do you feel unsteady on your feet? Have you previously fallen or worry about falling? Have you suffered from a fall? this programme could be for you. We offer a 24 week programme that helps build your strength and balance to help you live independently. To face the challenges we see in Leicester, Leicestershire and Rutland and to deliver our plans to meet them, health organisations have created Better Care Together - a Sustainability and Transformation Partnership (an STP). The partnership is working closely with local authorities, too.